Slice of Blood Orange for garnish. Add all Ingredients except for Garnish to a cocktail Shaker with ice. 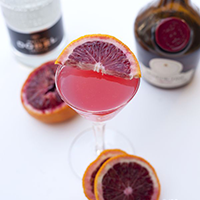 Garnish with the Slice of Blood Orange.